I'm finally feeling much better and really only doing with the fatigue aspect of Mono now. I'm hoping for a wonderful weekend that I can muster enough energy to chase Little L around and maybe even toss about a cocktail or two! We have fun dinner plans with friends and, of course, we will be celebrating Conor all weekend long! I can't wait to make him feel extra special & loved this Father's Day! Here's my five... As always, thanks to all the lovely hosts: Christina, Darci, April, & Natasha! Now that school is out, all the neighbor hood kids are running wild like free birds all day long! They love coming over to see if Liam can play; unfortunately, their hour of choice is usually during the napping hour... 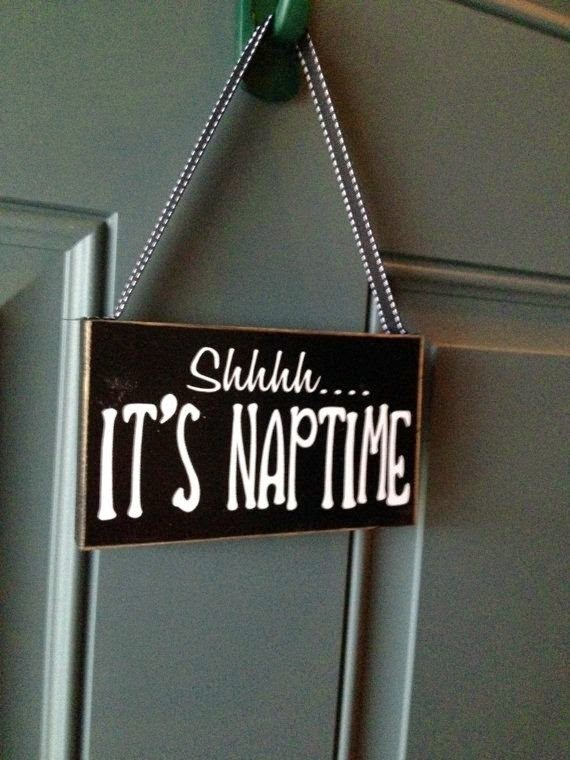 While I used to think all those "shh, the baby is sleeping" signs were absolutely ridiculous, I may actually need one! 'Cause if those little hands knock & I don't answer, they simply knock harder! Oh kids. 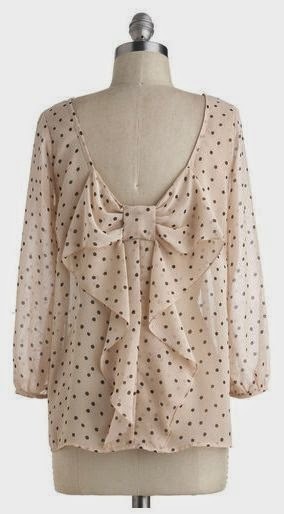 So I love all the pretty little clothes I find on Pinterest, but there is a big problem with it... I DO NOT pay for shipping. Amazon Prime & Nordstrom have ruined me for life! So have free returns! I find all these things I just love, but I can't pull the trigger. Anyone else slightly terrified of online clothes shopping? With Liam's 2nd birthday only 1.5 months away, I really need to get on the planning. I'm thinking something casual & after dinner...perhaps an icecream party! I'm having a hard time finding inspiration though as most of these types of parties (at least on pinterest & blogs) are very girly. I'm picturing icecream in mason jars & lots of toppings! Maybe a mint color scheme...we'll see if I stick with this idea. Remember when I mentioned I got a bird feeder about two months back? Well, it took awhile, but the birds have found it! A lot of birds. My backyard might as well be an aviary. I have to fill that feeder every single night because they eat all day long! I hadn't quite realized what I was getting myself into. But I love looking out the kitchen window to see them all & cracking the window just a bit to hear their sweet little songs. 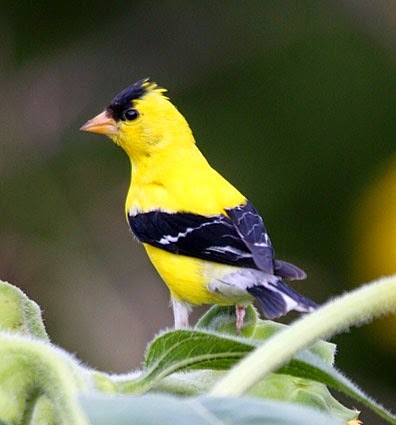 My favorite visitor is the American Goldfinch...he is bright yellow & has all sorts of swagger! The World Cup has begun! While the USA isn't exactly a top contender, I'm still excited to watch them play! 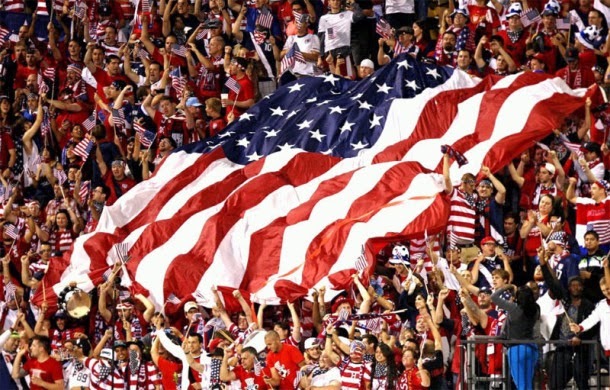 I'm always up for any reason to cheer on America & stare at some of those gorgeous faces! I just so happen to like soccer too! USA! USA! Happy Father's Day to all the amazing dads in your lives! You can easily make the ice cream theme for boyish on your own. I can't wait to see what you come up with! Yeah I rarely order clothes online unless it's free returns or I can return it to a store nearby. I've been burned in the past with sizing or quality. Glad to hear you are feeling better! Glad you're feeling better! Love the idea of ice cream in mason jars!! So cool! Happy Friday!! I love the icecream party idea--casual and sweet...yet fun! That shirt. so adorable. Glad to find your blog through 5 on Friday...it's lovely. I loathe paying shipping! This has been especially hard for me because I have wanted to order some larger pieces for the nursery but I don't want to pay to return ship it if it doesn't work. There is a rug I really want from Overstock and shipping is only $2.95...but if I don't like it...who knows what it is to send it back! Glad to hear you are on the mend! Mono, yuck. Love the ice cream idea! Simple, yet delicious. I love that you have all the birds! I'd love a bird feeder but all I'd ever feed would be the stupid sneaky squirrels. Do you have squirrels? Oh man online shopping without free shipping is such a struggle for me to! LOVING the ice cream theme! Can't wait to see what you come up with! And also, I DO NOT pay for shipping either! I always order over $50 on Gap/Old Navy and love Nordstrom and Amazon Prime as well. I've seen so much cute stuff on boutique-y websites but do not want to pay to ship it to me AND back if it doesn't fit! I'm so sorry you've been sick! Mono is the worst. I had it senior year in high school and I felt like death. It took a while to recover too. I think I remember the doctor telling me to take it easy for at least a month. Soooo glad you're starting to feel better!! My MIL loves feeding the birds too. At one point she had four different feeders with food for various birds, but then she started seeing mice in the yard so she's taking a break from it. The finch are my favorite or the quail! 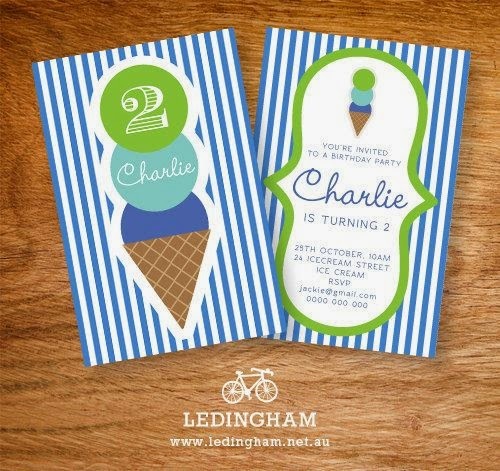 Love the ice cream party idea! You can have so much fun with that theme! I'm the EXACT same way with online shopping! I'm too cheap to pay for the shipping and I don't want to deal with the hassle of a return! I'll really only buy something if I somehow get free shipping or if I know I can return it in store near me. The upside of not online shopping is that it probably saves me a boat load of money! !